The Tech Works PC-* (“*” specify Length) is a Power Patch Cable designed to connect our Tech Works Collaborative Intercom (CI-Buss) and PA-Buss products together. These units are designed for the systems integrator to make installation Plug and Play. 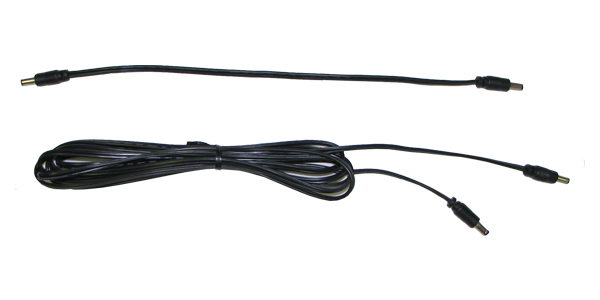 18 gauge power cord is made with 5.5 mm barrel connectors on each end for connecting 24 VDC power from one unit to the next. Quality molded 5.5 mm barrel end connectors make installation and reliable service both simple and performance predictable. Our Patch Cables are stocked in 1 foot (PC-1), 10 foot (PC-10), 25 foot (PC-25), 50 foot (PC-50), and 100 foot (PC-100) lengths.